If you operate a system that moves people (transit buses, shuttles, vans, etc. ), you need to count them and track them. Passio applications quickly and seemlessly track your vehicles and easily counts passengers tagging them with GPS coordinates and time/day as they enter and exit, including different passenger types or groups. 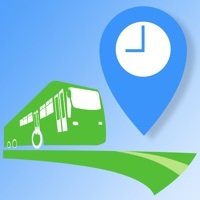 With Passio GO you have the ability to display bus locations for your passengers, including schedules and ETA. N.B. You can run Passio GO without any registration, use for free. Please contact us at: [email protected] to setup a Passio Account to operate your own bus system. It’s a mistake to replace the old service with this. This app is terrible for people with visual disabilities. It doesn’t work well with VoiceOver and color contrast os horrible. Do not download if you need an accessible app! This app is absolute aids. 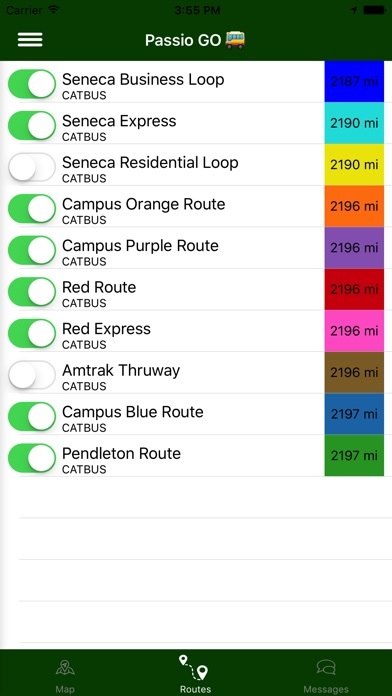 I don’t know why my school changed from our old app to track buses. Apparently this app has “better gps” but it has been accurate literally 0% of the time. Seriously it has never been accurate when the bus will arrive. The last app my school had was accurate 99% of the time and I could trust it but with this app I’d rather walk to be on the safe side. Can’t add individual stops as favorites. Infuriating. 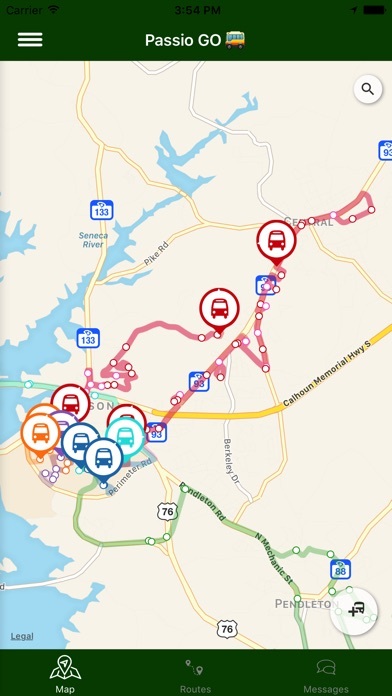 Passio GO has been a great improvement from past bus tracking apps I’ve used on campus. They have all the routes but the special route... so that doesn’t help some people. This app so accurately tracks the process of my shuttle that I can tell when the driver pumps the brakes. Excellent product. Look, this angered me so much I’m writing a review about it. I try using this often to take the bus but one min it will say the bus will be there in 19 minutes. Within the same minute, you tap on the stop again and it’s there in 2 minutes and stuff like that literally every single time. Simply does not work.